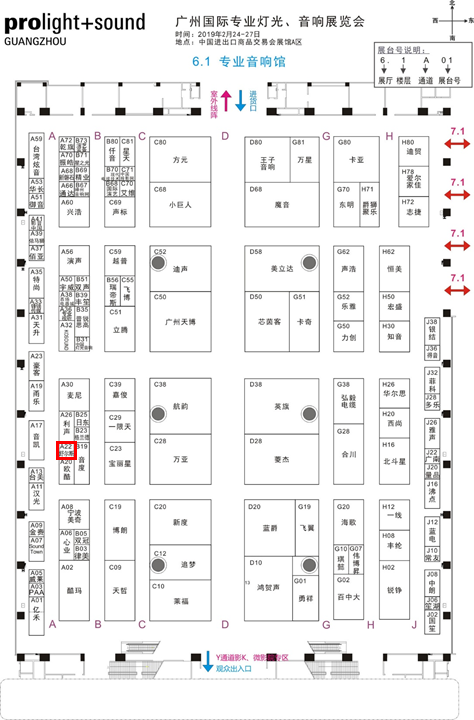 Sure Electronics Co., Ltd. will participate in 2019 Asia Amusement & Attractions Expo (AAA) from May 9, 2019 to May 11, 2019. In this exhibition, Sure Electronics mainly displays the highly integrated KAB series specially designed for arcade machine and amusement equipment, which extends from our standard product, featuring high performance-cost ratio, high reliability and full protection. Taking requirements of amusement equipment application, we provide amplifiers from 30W to 400W, including 300W subwoofer, meeting customers’ demands of 2.0/2.1/4.1/5.1/7.1 audio system. Abundant ports for high-speed input are provided in KAB series such as HDMI, Coaxial, Optical, USB, RCA and Bluetooth, opening up possibilities for swift and convenient connection with System-on Chip (SoC) or other peripheral equipment. We also provide audio isolation solution for customers. KPS series, the power supply matched with KAB amplifier, provides 12V/24V output voltage, which meets the power of amusement equipment. Since there are many electric devices in amusement equipment and their power are different, this power supply series are equipped with auxiliary power port, which can be used to power other devices such as the SoC, greatly saving the space and the cost of whole system. 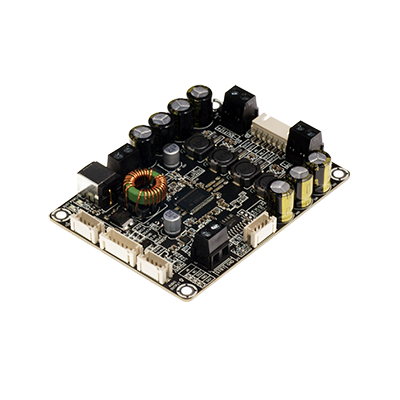 In addition, amplifier board with DSP integrated is also available in Sure Electronics. Our Booth No. is Hall 1.1, 1A121 and we sincerely invite you for a visit. Acoustic wave is the form of energy known to have the ability to transmit over long distance underwater for now. According to its features, it is widely used in Underwater Acoustic applications, such as Positioning, Navigation, Communication and Measurement. For UWA customers, Sure Electronics can provide full set of solutions, including High Efficiency Transducer, Wide Frequency Range Hydrophone, Low Noise Pre-amplifier, High Reliability Power Supply and Broadband Amplifier. The special capacitive load characteristics of the transducer raise higher requirements for the power amplifier’s ability of dynamic response and current driving. Based on advanced Broadband Power Amplifier technology, Sure Electronics provides 200W-2kWrms complete solution for wideband amplifier, featuring high output voltage up to 1200V, comprehensive input and output protection, high power, high efficiency and reliability. 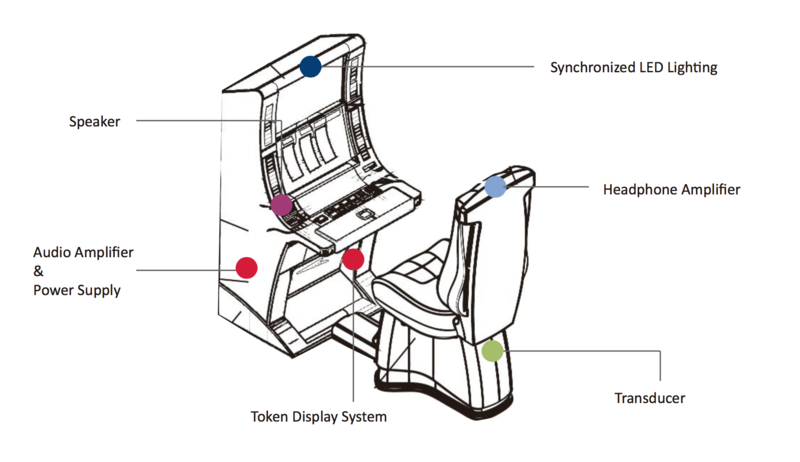 Game Machine and Self-service Equipment are more and more popular nowadays and most of them can produce sound to create an immersive environment or give users the flow guide or other help. High integration has been an inevitable trend in such Industrial applications. WONDOM KAB series (Audio amplifier modules designed for Kiosk Applications) is a highly cost-effective audio amplifier series with full protection extended from our standard product with optimization in system integration of Game Machine, ATM, Service Robot, vending machine application, ensuring controllable cost and short design cycle for fast transition from prototype to market. KAB series is capable of meeting requirements of easy integration, high reliability and low power consumption in today’s game machine and self-service equipment amplifier marketplace. Abundant ports for high-speed input are provided in KAB series such as HDMI, Coaxial, Optical, USB, RCA and Bluetooth, opening up possibilities for swift and convenient connection with System-on Chip (SoC) or other peripheral equipments. Microphone amplifier and headphone amplifier are available when recording and audio reproduction through headphone are required. Auxiliary power port in KAB series is reserved for powering up SoC, saving much space and cost of whole system. We provide 2W/8W/15W/30W/100W stereo/multichannel audio amplifier for customers’ choice. Customers can use the KAB separately or configure them into 2.1/4.0/5.1/7.1 audio system to their demands. Long Range Acoustic Devices are used for remote transmission of messages or warning signals in higher volume to achieve the purpose of alerting, deterrence, dispersing or defensing, widely applied in Disaster Warning Sirens and Rescue, Frontier and Civil Defense, Law Enforcement and Management, Dispersing and Protection and so on. Equipped with advanced power supply Auto-switch and speaker voice coil Thermal Management circuit, Sure Electronics provides customers with full set solution of long range acoustic devices with SPL up to 140dB, featuring complete protection circuit, light weight, compact size and high efficiency. The power of WAD1140 is out of proportion to its size. It was proven to be able to produce 140dB/m. The instantaneous SPL of WAD1140 at 100m distance can reach 100dB and it can maintain 80dB at 1km distance, fully meeting the requirements of warning or deterrence over a long distance. Battery Charging Board ensures the portability of audio system. Sure Electronics released Battery Charging and Protection Board – BCPB series, featuring high efficiency and high reliability. It covers battery charging and protection board with holders designed for 1S 26650, 3S 18650 and 5S 18650/26650 Lithium battery. You can always find the satisfactory solution with BCPB series whether you are looking for exquisite pack or large capacity. 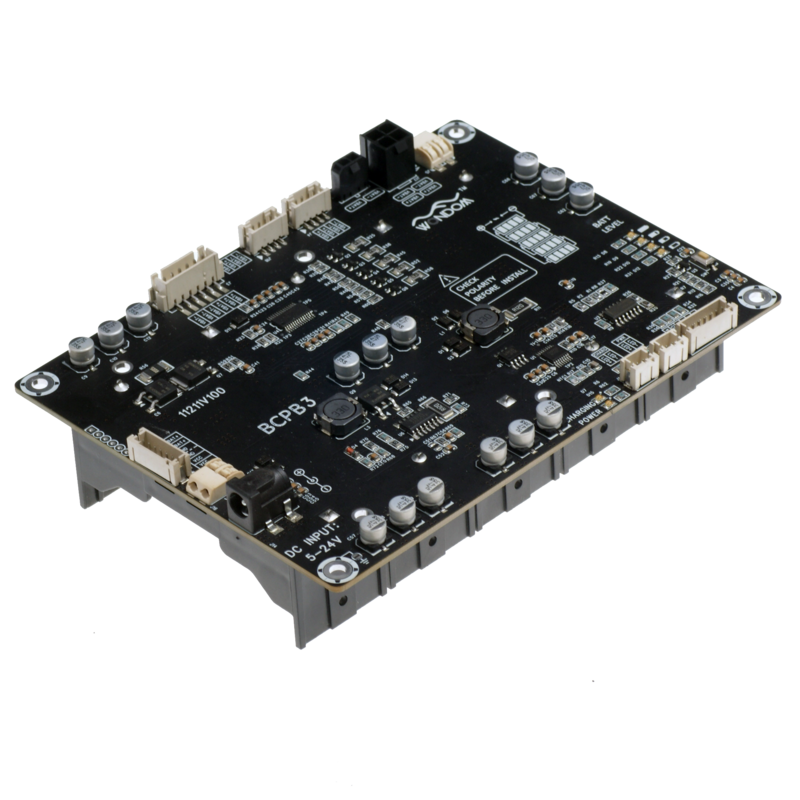 BCPB1 is a highly efficient and highly reliable lithium battery charging and protection board with 5V boost circuit integrated. It is designed for 1piece 26650 Lithium Battery and can be used as a power bank for Mobile Phones and Raspberry Pi. Its half-palm size makes it suitable for portable DIY applications. With 5V USB discharge port, this board can provide maximum current as 2A. So if your iPad or mobile phone is out of power, this battery board can be used as a power bank to charge it. With protection circuit, the Lithium battery charger and balance protection board works constantly to monitor each cell’s voltage, the current of charge or discharge, and the temperature of the environment to provide overcharge, over-discharge, over-current and over-temperature protections, etc. Besides, BCPB1 is specially designed for powering Raspberry Pi, offering a convenient power supply solution for DIYers. Raspberry Pi can be easily and conveniently installed on BCPB1 through the pre-mounted standoffs and be powered by the direct contact of pogo pin on BCPB1 and POS4. And there are four indicators to show the remaining battery power. The BCPB2 - 3S 18650 Lithium battery charger and balance protection board is a charging and protection module for 3 pcs Lithium batteries pack. It is highly integrated and can be used as portable power bank. With MPPT charging ICs equipped, this board works as charger and supports 15-24V power supply for charging. Four indicators are equipped as battery status reminder. The Lithium battery charger and balance protection board works constantly to monitor each cell’s voltage, the current of charge or discharge, and the temperature of the environment to provide overcharge, over-discharge, overcurrent and over-temperature protections, etc. When fully charged, it can provides 12.6V. With 3.6 x 2.7 inches size, the BCPB2 can be connected with JAB series through L-type Aluminum Bracket for portable Bluetooth speaker. As the new comer of BCPB (Battery Charging and Protection Board) series, BCPB3/4 inherits the high efficiency and high reliability of BCPB2, offering more battery holders and larger capacity. BCPB3/4 is designed for 5pieces 18650/26650 Lithium Batteries in series and can be used as a power bank for Routers, Raspberry Pi, High power portable speakers and Mobile phones, which is widely used in Home DIY applications to save your precious time from the connection of electric wires. 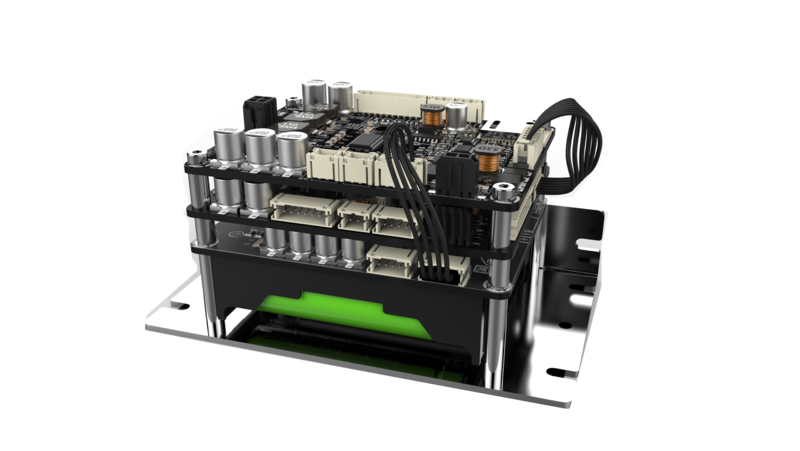 Supporting wide range of charging input voltage and hybrid charging sources is one of the highlights of BCPB3/4. Any 5-24V 2A adapters can be used to charge the batteries with BCPB3/4. With MPPT charging circuit equipped, this board works as MPPT solar charge controller and supports up to 35W charging ability. Besides that, the balance and protection circuit constantly to monitor each cell’s voltage, the current of charging or discharging, and the temperature of the environment to provide overcharge, over-discharge, output over-current, short circuit, charge over-current and over-temperature protections, etc. Ground noise commonly exists in analog audio system, which gives listeners bad hearing experience. Nowadays, system-on-chip is used in industrial applications such as game machine, vending machine and other self-service equipment, making it essential that there is digital input interface on the audio amplifier. On basis of the TAS5756 from Texas Instruments, Sure Electronics launched new amplifier board – AA-AB32255, a digital input high performance Class D audio amplifier with integrated audio processor. It provides 20Watts stereo, making it suitable for PC audio, Sound bars, Active speaker, DIY applications such as Raspberry pi. AA-AB32255 supports I2S digital input and supports high resolution playback up to 192kHz/24bit so customers can enjoy music same as originally recorded. Its advanced design offers low noise, high SNR and low THD+N as 0.08%, delivering premium audio quality to listeners. Besides, this board also provides 3-wire audio digital interface (no MCLK required), supporting Raspberry Pi, offering a swift and convenient audio solution for DIYers. It can also work as a high performance stereo audio DAC and supports direct analog output without amplification. Search AA-AB32255 in http://store.sure-electronics.com for more detailed information. To keep its technology edge, Sure Electronics has maintained an unwavering commitment to R&D since its birth. Sure Electronics is committing to making Class-D Safe, Utility, Reliable and Effective and making it widely accepted in Industry and Military territory. 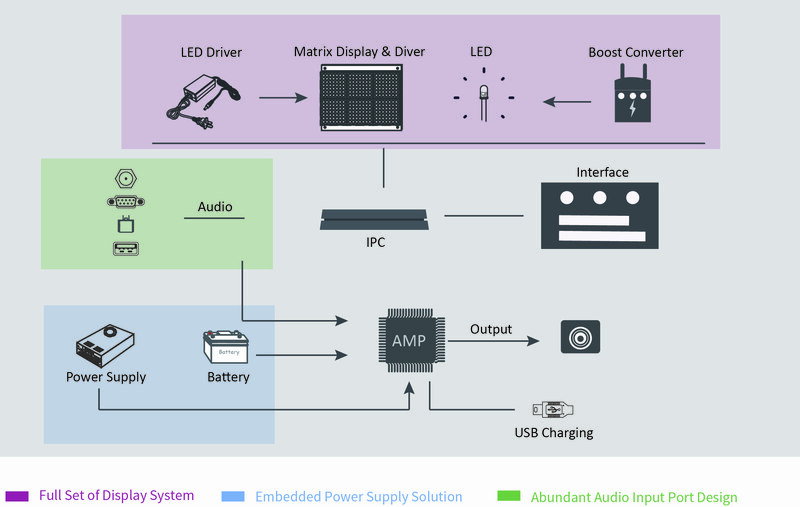 Aimed at improving efficiency, reducing power consumption consequently, and increasing power density, Sure Electronics, always attentive to the audio quality of its products, has been offering for many years a range of Audio, Power Supply and DSP solutions in High Performance and High Power Platform. Three R&D groups are built as the independent department for different research area. Over ten topics and projects like Transparent Amplification, Beyond the Audio Frequency Researching are issued to provide theoretical support for our design. In recent years, Sure Electronics has been paying much attention to the accumulation of patent technology and is always strengthening the investment and exploring of advanced technology, which is based on meeting core demand of the industry and improving the audio quality of Class D products. Now we have developed creative ideas in the heat dissipation, drive circuit, feedback system and control system. For now, we have submitted more than 20 patent applications and is preparing for the application of New and High Technology Enterprise. 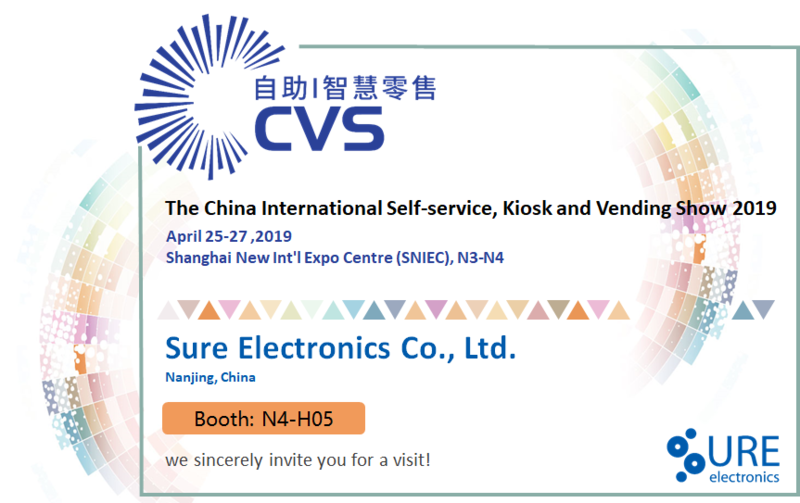 Sure Electronics Co., Ltd. will participate in The China International Self-service, Kiosk and Vending Show 2019 from April 25, 2019 to April 27, 2019. In this exhibition, Sure Electronics mainly displays the KAB series, a highly cost-effective audio amplifier series with full protection extended from our standard product with optimization in system integration of Self-service Equipment application, ensuring controllable cost and short design cycle for fast transition from prototype to market. KAB series is capable of meeting requirements of easy integration, high reliability and low power consumption in today’s self-service equipment amplifier marketplace. Abundant ports for high-speed input are provided in KAB series such as HDMI, Coaxial, Optical, USB, RCA and Bluetooth, opening up possibilities for swift and convenient connection with System-on Chip (SoC) or other peripheral equipment. Microphone amplifier and headphone amplifier are available when recording and audio reproduction through headphone are required. Auxiliary power port in the matched power supply - KPS series for KAB series is reserved for powering up SoC, saving much space and cost of whole system. Our Booth No. is N4-H05 and we sincerely invite you for a visit. Sure Electronics Co., Ltd. will participate in prolight+sound GUANGZHOU from Feb 24, 2019 to Feb 27, 2019. In this exhibition, Sure Electronics mainly displays the CVA series, specially designed as Constant Voltage power amplifier in Background Music system, Public Address Announcement system, Alarm system and Communication system, and JAB series with built-in high performance DSP tailored to Digital Crossover and Subwoofer applications. Sure Electronics provides 60W-500W 70V/100V/120V Constant Voltage Amplifier with high reliability and high efficiency, covering traditional solution with transformer and no step-up transformer solution. JAB series realizes accurate crossover via DSP, faithfully reproducing sound and protecting speakers from damage. Meanwhile, UI control (Mobile/PC) greatly improves system operability. Our Booth No. is 6.1 A22 and we sincerely invite you for a visit.